Offer the families you serve a unique way to celebrate the life of their loved ones when you enhance a cemetery section with our memorial rocks and estate boulders. 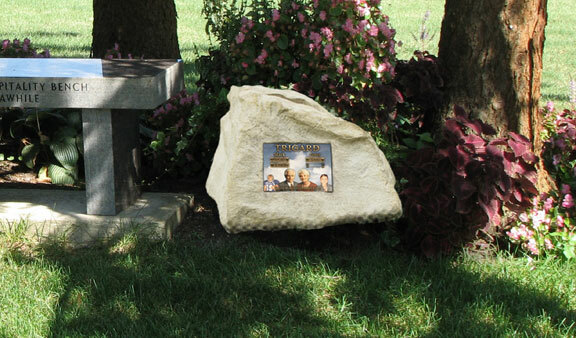 Our durable faux rocks enhance the beauty of your cemetery while giving families a place to share memories. Whether the families you serve choose to place a loved one's cremated remains inside a compartment in the rock or dedicate a space in their honor after burial or scattering, our rocks provide a place to share memories for years to come. Our faux rocks are crafted from molds based on natural rocks. The forms are lined with concrete and painted in one of three natural colors. Learn more about our memorial rocks or call Customer Service at 800.798.4900 to start planning today.